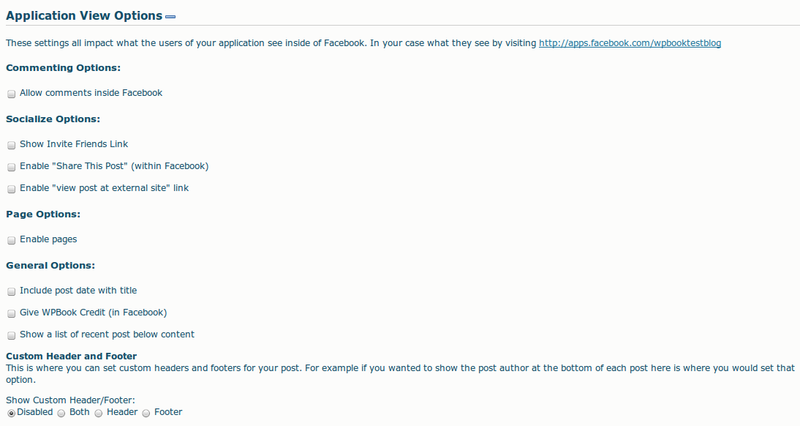 These options all have to do with commenting from inside your Facebook application view. That is, they do not apply to Facebook comments made in response to excerpts posted on your FB wall, but only when users are veiwing the full text of a blog post inside your FB application, at a url like: http://apps.facebook.com/yourcanvaspageurl/2010/01/page-slug/ (your permalink url appended to your facebook app url). Checking this will open a panel to show additional comments settings. Unchecked, no comments form will be shown inside the FB app. WPBook will automatically pull the users name and prefill the comment form, but they are given an option to input an email address. This setting makes that email required. Note this will not change the email requirement (or lack thereof) on your usual WordPress blog pages. Gravatar rating: Highest rating for Gravatars to be show. Gravatar default: what to show when the email address provided doesn’t match any existing Gravatar. These options have to do with the template for views inside the Facebook app. Adds a Facebook “like” link to each post. Show the share and view external link either above the post content or at the bottom of it, for each post. Note: This setting only matters if one of the two options above is active. 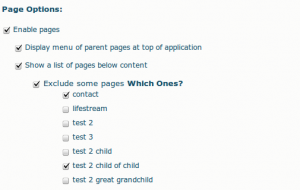 These options control how WPBook deals with pages in your WordPress site, in the Facebook application view. This will show pages inside Facebook, not just posts. 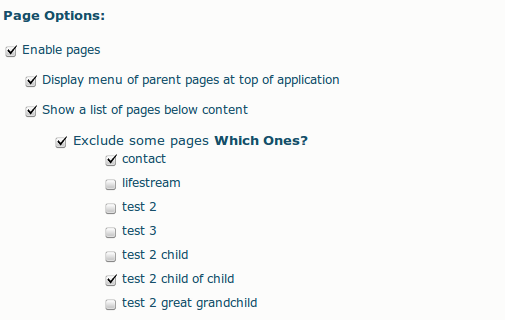 Checking Enable Pages also reveals the following associated settings. 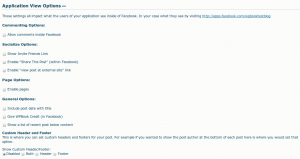 More options which apply to the Facebook Application view. This will prepend the title of the post with the date it was posted. You can control the format of the date using the advanced options by clicking “(Click here to change date/time format)” next to this option. This just turns on and off the “This Facebook Application powered by the WPBook plugin for WordPress.” line at the bottom of the page in Facebook. We spend a lot of time developing WPBook and this is one way to say thanks. This lists recent posts under the main content. This is really useful if your main homepage doesn’t show a list of posts. How many? : applies to the list of recent posts.